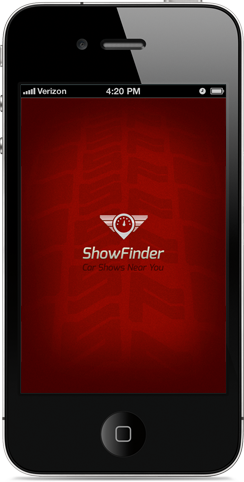 ﻿ ShowFinder: Mobile app for locating car shows & more. We are your personal automotive event guide including over 90,000 events, 4,700 cruise in's & 300 museums. Easily browse areas around you or multiple states, browse photos, save to your calendar and share with friends. We aim to be your number one source for automotive events. Try our free app today!